You were made to rest regularly. Yes, I just said you were made to rest regularly. It may be hard to rest or take a break from blogging or just from activities, especially living in a fast pace world. With industrialization, rest has become second nature rather than a natural part of life. However, the hustle and bustle will not get you far if you don’t rest. Here is why you need to schedule breaks into your blogging life. Making breaks and rest a priority will go a long way in living a life you love. People who are employed are allowed vacation time from work and students allowed vacation time from school. So why is it that content creators and other self-employed persons are not able to or choose not to take a break? Even if blogging is a hobby, sometimes you need time off from your hobby’s. I love my blog and I love you my viewer’s xoxo but blogging can be a lot sometimes. Balancing family life, school, my part-time job, self-care and blogging (which includes being a photographer, a social media manager, a graphic designer and a director of communications) is a lot. Hence, a break was needed. 1. Its time to take a break when blogging feels like a job you don’t enjoy. Has blogging ever felt like a job that you don’t like? As if coming to your computer to write isn’t the best thing you can ever do? If you feel this way then you definitely need a break. Now don’t get me wrong for some blogging, in fact, is a job but it should be a job you LOVE. I mean you do it from the comfort of your home. I know for me, I have been trying to set my blog up in a way that will allow me to at least earn hosting and other fees. That within itself is stressful which again screams you need a break and brings me to my next point. 2. Its time to take a break when you remain an obsessive stats checker. very blogger who branches out to reach a wider audience will get here. You will wake up and quickly check your blog stats and you will do so a few times throughout the day. This becomes a problem when you don’t stop checking. If you’ve been blogging for 3 months and you haven’t stopped being an obsessive stats checker then you need to take a few days off. 3. Its time to take a break when don’t know what to write a blog post about. Writers block is a very real thing however all that can be solved when you take some time to rekindle your passion and get some inspiration. During the break, you can design a writing space that will bring you inspiration or even get out to get some fresh air without the pressure. You may or may not have noticed that I was on a blogging break. First, it started off as me slowing down then I just took a full break. 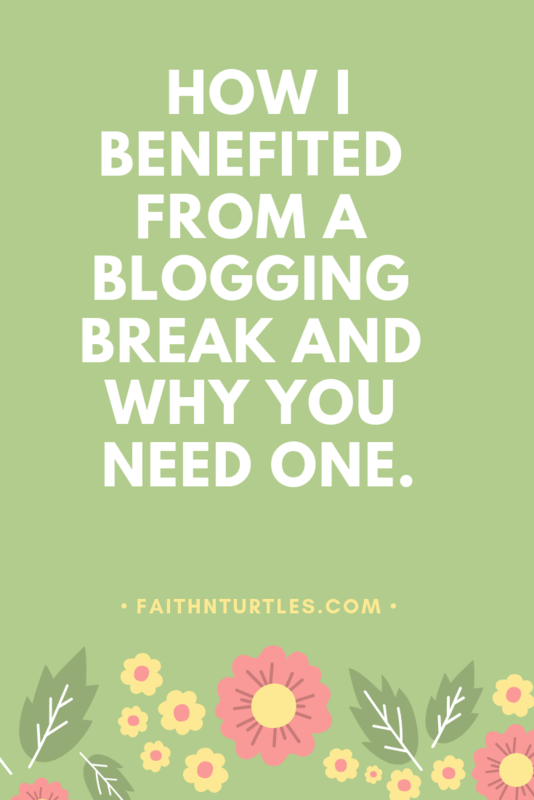 For me, blogging was getting overwhelming and because I know myself, I knew I needed a break. 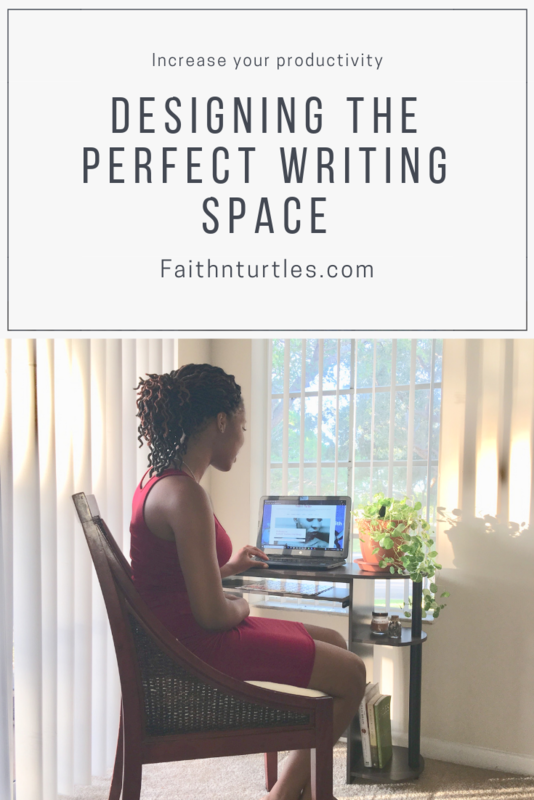 I needed a break from participating in blogging groups and threads, I needed some time from Pinterest, I needed time to really decide what I wanted to blog about and to narrow down the topics I want to cover. Most importantly, I needed time to celebrate myself and what I have achieved with my blog. Related Post: The Importance of Self Celebration. I gained so much from taking a month off from blogging and guess what? My viewers did not go away. (Tip: You can keep your blog active be setting up and scheduling guest post throughout your break). You put you first and take care of yourself. You get time to plan your content. You get time to revise and modify content. You get time to give your blog a well-needed facelift. you get to explore a new hobby. 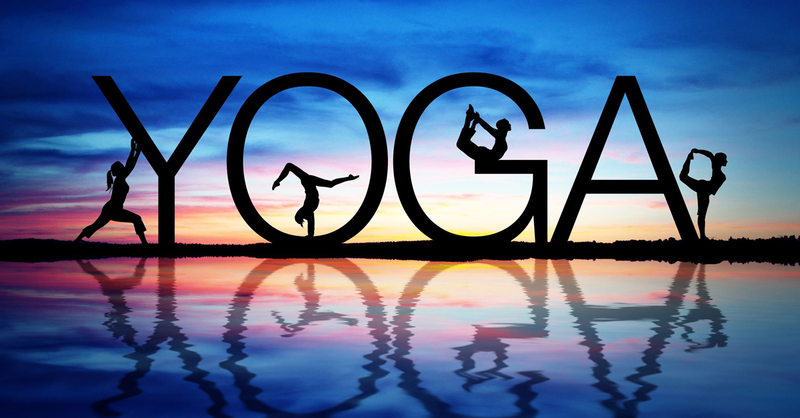 You will get way more benefits from taking a break but the only way to know is to try. If you decide to take a break, let me know in the comments below. 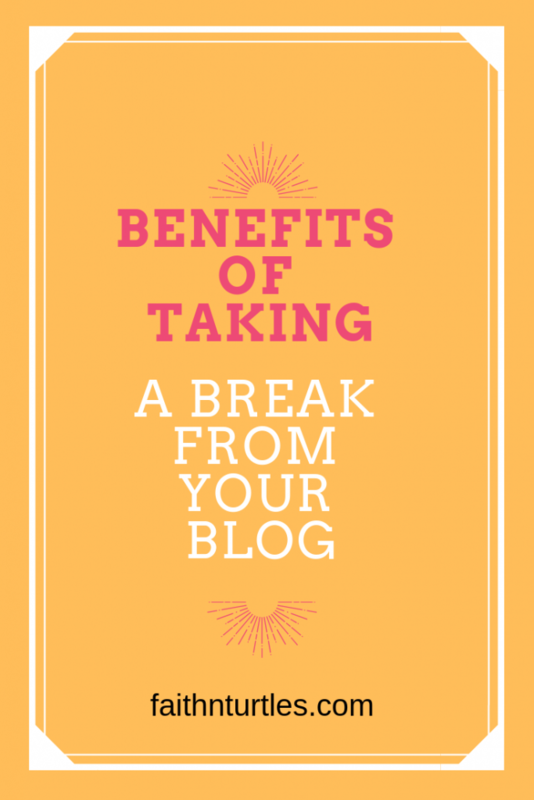 Have you taken a break from blogging? How did you benefit? Thank you 🙏.. It feels good to be back 🌼. That’s great 🌼. A break really gives you insight needed to get right back on track. Yes indeed. It’s important to take breaks. I am glad you gain new perspective from your break. A lot of people are afraid to do so because it will drop their stats. Thank you so much and Yeah that’s always an issue but having guest bloggers will help you to maintain your stats. I definitely know the feeling. I have been trying to really stick to Tuesday’s as blog day as a New Years resolution. I noticed that I was beginning to get overwhelmed, and I started integrating guest blogs about once a month which gives me a much needed break from the pressure of prepping a blog every single week. I love that you talk about a practical way to do this. I’ve done the same thing a couple of times and it really is so important. It helps so much 🌸🙌🏻 glad to see you’re back! Yes it really does. Feels good to be back 🌼, thank you.